Its consolidated turnover target is only VNĐ1.226 trillion (US$53.3 million), or 96 per cent of last year’s figure, and after-tax profit target is VNĐ252 billion, only 8 per cent higher than last year. In a document already sent to the company’s shareholders ahead of the annual general meeting, its general director, Đỗ Quang Ngôn, explained the reasons for setting such moderate growth targets. He said the real estate market is facing an imbalance between supply and demand in certain segments, and credit to the property sector is drying up. Externally, the global economy is expected to see a lot of volatility this year and likely to have a strong impact on the Vietnamese economy, he said further. Đức Giang Chemicals and Detergent Powder Joint Stock Company (DGC) has set an after-tax profit target of VNĐ9.7 trillion ($421.74 million), 20 per cent lower than its 2018 figure. According to Bảo Việt Securities Company (BVSC), the prices of DGC’s products might go down this year, hitting its profit margin. The company’s exports to China, one of the big importers of wet process phosphoric acid, one of the company’s main export earners, is forecast to decrease this year because of environmental issues. The company’s bottom line is also expected to be affected by higher power tariffs and environment fees. On March 20 electricity prices were increased by around 15 per cent. The Phước Hòa Rubber Joint Stock Company (PHR) has set a pre-tax profit target of VNĐ1.246 trillion, which a company spokesman admitted was modest since profit growth has always been around 30 per cent a year. Việt Nam GAS Corporation has set targets which are much below its 2018 figures: It expects to achieve turnover and pre-tax profit of VNĐ63.9 trillion and VNĐ9.5 trillion, down 13.6 per cent and 32 per cent. But it is not only enterprises. The Government too has been cautious, setting a GDP growth target of 6.6-6.8 per cent for this year as against the 7.08 per cent rate the country achieved last year. The lower growth is expected to keep inflation benign, equally important for the Government as high growth. It targets containing inflation at 4 per cent or less this year just as in 2018. Analysts said Việt Nam might not enjoy the same advantages it did last year and would possibly have to cope with external challenges such as rising oil prices, weakening exchange rates, global economic slowdown, and trade tensions in addition to internal issues such as rising minimum salaries, slowing exports and a fall in gross capital formation. Nguyễn Xuân Thanh, development director of Fulbright University Vietnam, said the US-China trade dispute, which was only the tip of the iceberg as trade protectionism and non-tariff barriers were rising, was expected to have both good and bad effects on Việt Nam. In the worst-case scenario, Việt Nam’s exports would be hit severely by the dispute and global economic volatility would reduce capital flows and thus foreign investment, he warned. Lê Xuân Nghĩa, director of the Business Development Institute and a member of the National Advisory Council on Finance and Monetary Policies, said foreign direct investment flows had been declining globally. FDI in Việt Nam decreased by 15.5 percent last year, signalling it would drop further in the coming years, he said. Thus, with lower GDP growth, demand for goods across industries is also expected to fall, explaining why many companies are pessimistic about their prospects this year. But the BVSC analysts said the economy should remain on a solid footing this year. Other experts said economic growth in 2019 would be fuelled by the recovery in the agro-forestry-fisheries sector and the numerous bilateral and multilateral free trade agreements Việt Nam has signed, which would enable it to expand exports. Shares of the Hòa Bình Rubber Joint Stock Company (HRC) rose from VNĐ33,000 (US$1.2) on March 15 to VNĐ46,050 ($2) on March 26, a 40 per cent surge. This has attracted a lot of attention since it came at a time when the company and in fact the entire rubber industry was going through tough times. HRC, a subsidiary of the Việt Nam Rubber Group, has seen a relentless downswing in its business over the last seven years. In that period its pre-tax profit decreased from VNĐ142 billion ($6.2 million) in 2011 to a mere VNĐ8.9 billion ($386,957) last year as the prices of natural rubber fell. On March 29 natural rubber closed at JPV182.2 ($1.63) per kilogramme on the Tocom commodity exchange floor in Tokyo, down 40 per cent from a year earlier. Last year the company’s return on assets was less than 1 per cent. A spokesperson for the Đông Phú Rubber Joint Stock Company said the prices of the company’s products have been falling, reaching VNĐ30.1 million per tonne early this year, down 17.8 per cent from 12 months ago. Shares of rubber companies like HRC and DPR have consequently fallen out of favour with investors. The Association of Natural Rubber Producing Countries has forecast global demand for natural rubber to go up by 4.2 per cent this year, slower than last year’s 5.2 per cent. The Ministry of Industry and Trade said it was unlikely that natural rubber prices would make a strong recovery this year as global demand is expected to rise slower. Besides, there was still a supply overhang in the global market, it said. Why then did HRC shares put on a sudden spurt? Analysts said it was because of the company’s tie-up with Bình Dương Province-based BECAMEX IDC to develop a 2,000 hectare complex with an industrial park, trade and service centre and resettlement area in Bà Rịa-Vũng Tàu province’s Xuyên Mộc District. They said its decision to shift from growing rubber trees to investing in industrial property is aimed at fully tapping its own advantages and that of the locality, and to meet the increasing demand for industrial property. The complex would be located on land the company is currently using to grow rubber trees. It was expected to be a magnet for investors thanks to its excellent location near a port and good transport infrastructure with an expressway under construction in its vicinity. 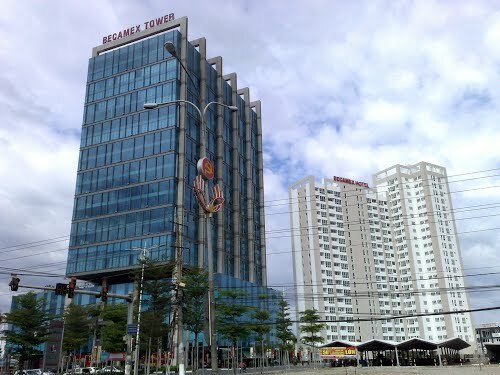 Analysts said the industrial property segment in the country and especially places like Bà Rịa-Vũng Tàu Province had great development prospects thanks to the free trade agreements Việt Nam had signed with many countries and territories and the US-China trade war, which was helping attract foreign direct investment into Việt Nam. This was pushing up demand for land particularly for industrial parks. Others said because of rapid urbanisation around the country the demand for land for building urban areas and industrial parks was increasing sharply but availability was falling. Bà Rịa-Vũng Tàu is one of the three leaders in the country in attracting FDI, with 34 projects worth US$3.6 billion licensed so far this year. They are mainly in manufacturing and so investors are looking to rent large lands for plants. With such advantages, the HRC management believes shifting from growing rubber trees to developing industrial real estate will help the company turn around. HRC is not the first rubber firm to invest in the industrial property market. The Phước Hòa Rubber Joint Stock Company (PHR) has already achieved encouraging results after using part of its land that had rubber trees to build the Nam Tân Uyên industrial park under a joint venture. Last year the industrial park contributed VNĐ68.8 billion or 21 per cent of the company’s consolidated profit. Following HRC and PHR, many other rubber companies are also planning to develop industrial parks because they own large tracts of lands.